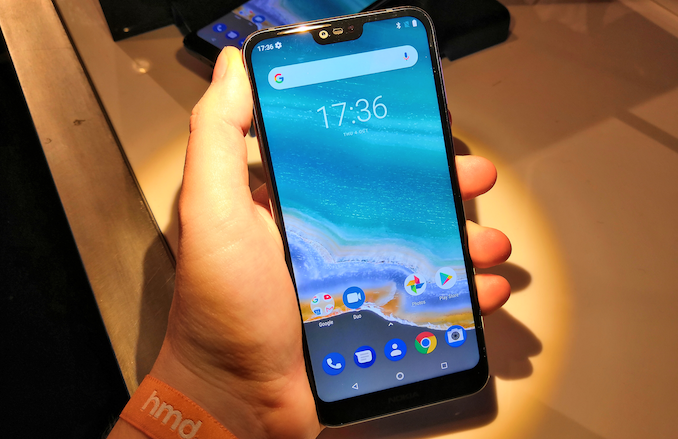 HMD Global today introduced its new ‘performance mainstream’ smartphone that will replace the existing Nokia 7.1 on the global market and will be available towards the end of the month. 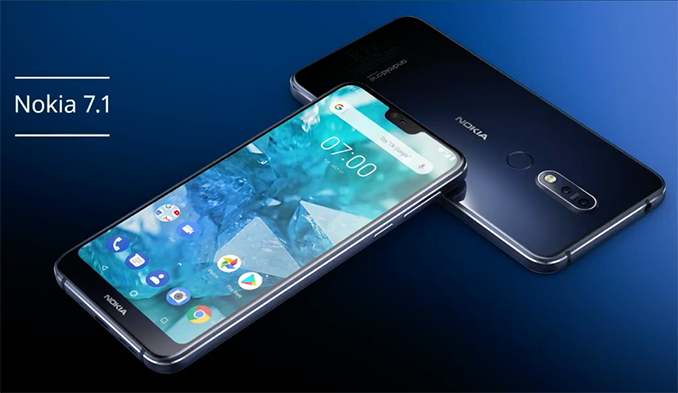 The new Nokia 7.1 features a large 5.84-inch display featuring a 19:9 aspect ratio with a notch and is based on Qualcomm’s Snapdragon 636 platform. The Nokia 7.1 comes in a symmetric chassis with rather sharp edges designed to ensure a pleasant and reliable grip during usage of the phone. The enclosure is comprised of a 6000-series unibody CNC-machined aluminum frame, and a die cast metallic center covered with glass for some extra bling, a rather unique construction and combination of materials. 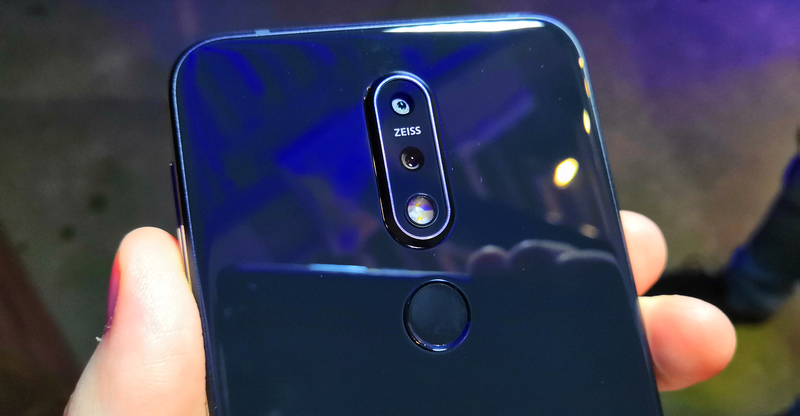 As for finishes, the Nokia 7.1 will be available in Gloss Midnight Blue and Gloss Steel colors with the latter featuring copper accents. 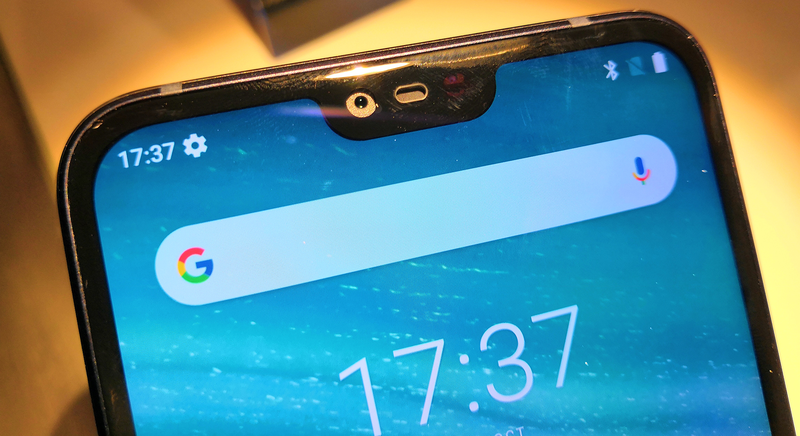 The smartphone is outfitted with a 5.84-inch 19:9 display with a 2244×1080 resolution, a 1,000,000:1 dynamic contrast ratio (not that DCR matters that much, but HMD only mentions this one), and Corning Gorilla 3 cover glass. The LCD uses Nokia’s new PureDisplay hardware and software technology enabled by a PixelWorks chip that is capable of displaying HDR10 content, upscale SDR content to HDR, and adjust brightness and contrast dynamically to provide the best visual experience both indoors and outdoors. From internal hardware point of view, the Nokia 7.1 is based on the Qualcomm Snapdragon 636 that integrates eight Kryo 260 cores (so, four semi-custom Cortex-A73 and four semi-custom Cortex-A53 cores) along with an Adreno 509 graphics core, and an X12 LTE modem. The SoC will be accompanied by 3 or 4 GB of LPDDR4 memory as well as 32 GB or 64 GB of NAND flash storage. The handset is outfitted with a built-in 3,060 mAh battery that can charge to 50% in 30 minutes. Moving on to imaging capabilities of the Nokia 7.1. The main camera features optics developed by Zeiss, a 12MP sensor with an f/1.8 aperture and a 5MP B&W sensor to capture depth. The selfie camera uses a 8MP f/2.0 sensor and support “AI-enhanced” face unlock. As usual, Nokia outfits its cams with a host of enhancements and exclusive features, such as the “bothie” that allows to record videos or take photos using both front and back cameras at the same time. One thing to note is that besides new hardware, Nokia 7.1’s camera also received new UI that features a Pro Camera Mode that enables a thorough control of white balance, ISO, aperture, and shutter speed. When it comes to physical interfaces, the Nokia 7.1 has a USB Type-C for data and power, a 3.5-mm TRRS audio jack, a fingerprint reader on the back, as well as a regular set of physical buttons (power, volume, etc.). As for software, the Nokia 7.1 will be initially available with Android 8.1 Oreo and will receive an Android 9 Pie update shortly after the launch. Meanwhile, like other recent phones from HMD, the Nokia 7.1 belongs to the AndroidOne programme, which guarantees three years of monthly security patches, and two years of OS updates. The Nokia 7.1 will hit select markets in October 22. The 3 GB/32 GB version will cost $349/€319, whereas the 4 GB/64 GB flavor will be available for €349. Apple's newest phones solve the issue by having two battery packs fused together in a non-rectangular shape to fit as much battery as possible inside the shell. 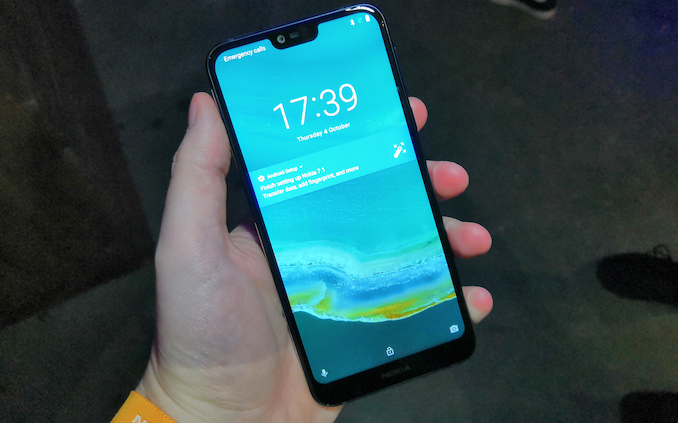 It would be nice if the other manufacturers could follow suit instead of chasing gimmicks like notches and curved screens. That's a 40-60% slower GPU according to notebookcheck and 25% slower CPU. In addition, the only memory sources I can find seem to indicate that the 636 has 1333MHz RAM instead of the 1866MHz in the 660.